Professor Ken Agyemang Attafuah, a renowned criminologist and lawyer says the recent increase in salaries of police personnel will not automatically lead to improved security in the country. About 23,000 personnel of the Ghana Police Service reportedly witnessed substantial increases in their July pay following the implementation of the Single Spine Salary Structure (SSSS) and most people are of the view that once conditions of service is becoming better the police have a binding duty to ensure total public safety. 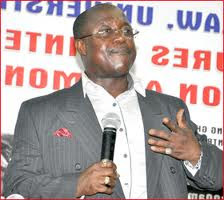 The Inspector General of Police, Paul Tawiah Quaye, interacting with the Implementation Committee of the SSSS at the Police Headquarters had said “personnel of the Police Service have been astounded by their pay-slips for July 2010. Most are still coming to terms as to whether it is a one-off event, a mistake by the payroll office, or a real commitment by government to implement a salary regime that adequately compensates them for their efforts". "Majority of personnel would now be free from the severe and unbearable financial constraints that used to confront them on daily basis, a situation which used to impact negatively on their performances." "The SSSS would create a more relaxed mental environment that would enable personnel to be more dedicated towards work and enhance their productivity in the long run. Personnel now know that, their efforts are now being significantly and appropriately rewarded," he added. Public Affairs Director of the Police Service, Superintendent Kwasi Ofori said that the increase in emoluments would boost the morale of personnel and engender discipline and professionalism in the service. He said it will take a while for the new SSSS to alter the material circumstances of police officers.